On the podcast today, we are chatting about all different types of hallway decorating ideas! 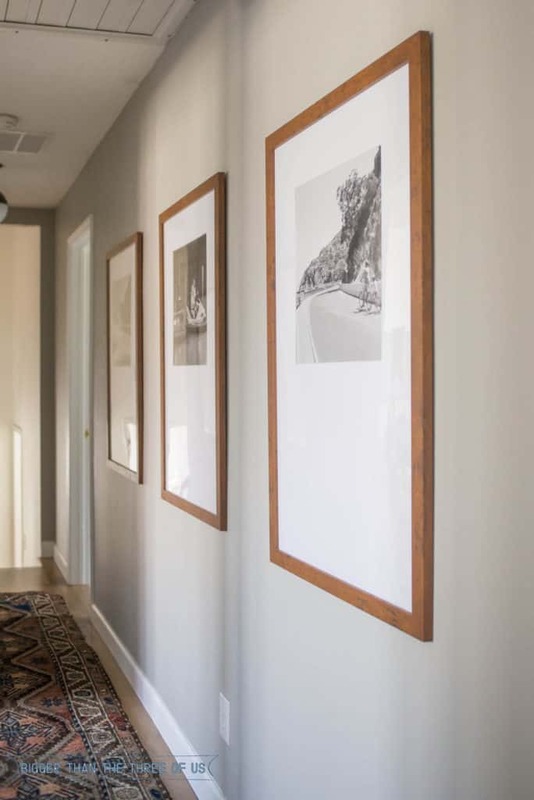 Are you wanting long hallway wall decor ideas, end of the hallway decor ideas or just how to have a functional hallway for your family? Today’s episode has you covered! Do you have a dark and dingy hallway? Or, a downstairs hallway that is lacking in function? It doesn’t have to be! We have great ideas to update, makeover, and better utilize your hallway so it’s beautiful as well as functional. My hallway makeover that includes DIY photo mats with a travel gallery. Our Fifth House – How to utilize a hallway desk area. Young House Love’s Faux Moulding Tutorial. Room For Tuesday’s color-blocked hallway DIY project. Awesome chair rail hallway inspiration.